TBEX or Travel Blog Exchange is a massive event that put`s together Travel Bloggers & Travel Industry Players. Networking, speech sessions, workshops, FAM trips…We attended the European edition that was held in Lloret de Mar in the lovely Costa Brava, Spain. Before buying our tickets the doubts were: Are we prepared for our first TBEX? Should we attend this event? What should we expect from our first TBEX? Happily we took the risk and boarded the challenge.After 1 year of travels it was more than time to invest in more knowledge. TBEX proved to be an excellent investment that already paid it off. Two intensive days of conference with the big names of Travel Blogging & Travel Industry, the opportunity to meet key contacts from big brands and also hang with celebrity bloggers, not to mention the parties and FAM trips topped with a lot of Jamon and Wine! Do you have your business cards ready? Is your Media Kit updated? (Do you have one, right?!?!?!) Do you know which companies are attending the event? – Get your Business Cards ready. We got 500 cards and that was more than enough. 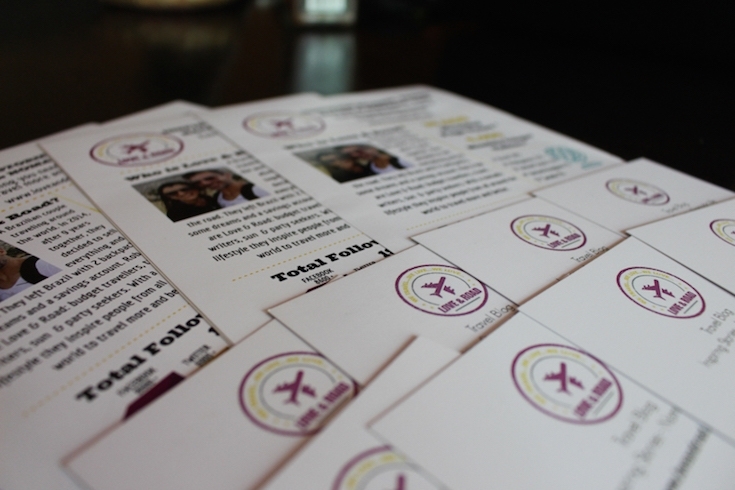 – Update your Media Kit with your latest figures and prepare a printed copy. It`s very handy for companies and you will avoid that poker face when someone ask you about Traffic Source or Demographic figures. – Check at TBEX website which companies are attending/sponsoring the event and select the ones you are interested in work with. Follow their Social Medias and start to interact with them before TBEX. Be ahead of the curve. – Study a bit of the local language. This is an advice not only for TBEX events. Put an effort on the language and the locals will appreciate it. Leave your shyness at home and be prepared to chat a lot. I`m not the most extroverted person in the world but in my first TBEX I tried my best. (Remember that you are spending money on it!) The Speed Networking is like a speed dating, few minutes to sell yourself. Detail, the applications are done in advance, we didn’t knew that and in our first day we only got “unofficial” meetings. Our second day was busier. You should have your elevator speech ready and again, research about the company you are pitching! Videos & Photography are your selling point? So prepare a stunning video (keep it short) or photo slide! If you don’t feel comfortable with the Speed Networking idea don’t worry, on item 4 you will find a solution. If there is a regret about our first TBEX then might be our schedule. When we bought the tickets for TBEX we planned our trip accordingly to the official schedule of 2 days of conference. So we booked our flights and accommodation to arrive 2 days before and leave 2 days after. Turns out that there were plenty of activities before and after TBEX! Luckily we could change our departure dates and managed to join FAM Trips, Natalie did the Barcelona 4 Elements and I cycled from the Pyrenees to Costa Brava. (Posts are coming soon) Also we sailed in a massive Catamaran one day before TBEX. 🙂 My tip is: plan yourself to arrive about one week before TBEX and to leave one week after. 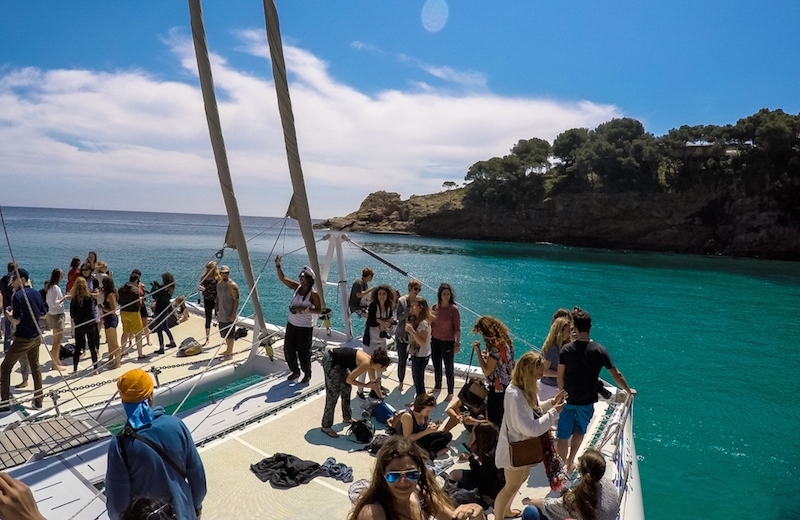 In Costa Brava they offered tours & workshops before the conference, FAM trips, free lodging and cruise experience after the conference! SWEEET!!! 4 > Make Sure to Attend the Parties! If you don`t like the pressure of a speed networking here is the solution: Informal chats. For me the best ones happened during the parties. Lunch time, breaks between sessions and dinners are also great opportunities to meet people. In the catamaran I was chatting with Chris Christensen (Amateur Traveller), such a legend. In the opening party I was drinking wine with Matthew Kepnes (Nomadic Matt) & Matthew Karsten (Expert Vagabond). It was awesome to meet people who inspired us, we could say a BIG thanks to Dalene & Pete (Hecktic Travels), after reading their blog we decided to become a nomadic couple too. Also we shared tables, drank gin and danced with people from big companies that lead to promising business. Enjoy your time, although don`t forget that your blog is your work! Doesn’t matter if you are a super star blogger or a newbie, be yourself, be genuine. Companies are looking for unique bloggers with unique, creative & great content. So don’t lose your essence just to grab a FAM trip or a campaign. Remember that in the end of the day your audience follows you because of what you are. Now you have all the tips to your first TBEX! Organise yourself for the next editions that will happen in Bangkok on October 1517th and Fort Lauderdale, Florida on October 28th 30th. We have already been in Bangkok, so we are excited about the TBEX in Florida. Imagine a travel conference in sunny Florida?! Hard to say no! Fort Lauderdale is known as the Venice of America because of it`s 300 miles of navigable waterways. A paradise for those who love to be surrounded by water (like us). In Fort Lauderdale you can soak on palm fringed beaches, swim in crystal clear water and enjoy the nightlife on Las Olas Riverfront. Sounds like my type of holiday! 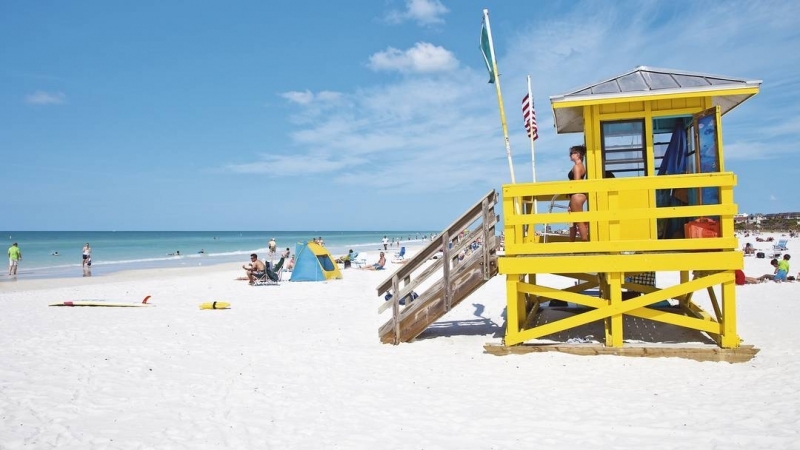 Every year thousands of tourists travel to Florida, especially to Fort Lauderdale, not only for the stunning beach, but also to visit the Everglades National Park, try their luck on Casinos and go shopping. Among all the big brands stores, there you can find one of the biggest Outlet`s in Florida. I think that’s a good excuse to bring one more empty suitcase (in case you need to pack your extra purchases). For those who are planning to go to Florida for the TBEX, be aware that just after TBEX Florida it will happen the TBEX On The Sea, yep, a 8 days cruise full of opportunities to learn and to connect with the travel industry while sailing in the Caribbean. Sounds like adventure, right! Make sure you get you tickets in advance, then pack your bags and set off for a new adventure! 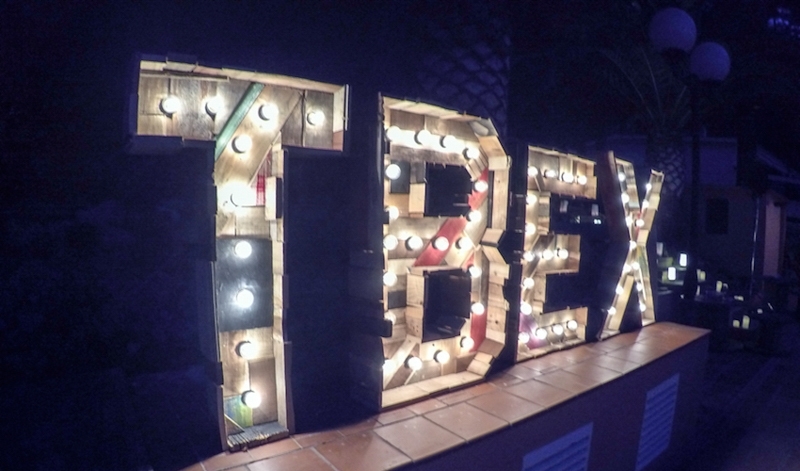 Are you ready to your first TBEX? We are definitely going to again! Ps.The 2016 European Edition will be in Stockholm. Disclaimer: This post has been written in association with Thomson Flights. Hi Amanda, you are welcome, I believe that the Florida edition will be awesome! My husband, daughter and I are all attending our first TBEX in Bangkok in October. I was wondering when is that time to arrive and to depart. This was very helpful! Great tips. Have fun in FL! What a great post. I’ve been looking into attending one of these, but wasn’t sure if I was ready. You make is sound like ” No time like the present!”. Thanks! I have been asking that question myself. Thanks for answering it. Unfortunately, my girlfriends and I will be in Europe during the Bangkok and Florida sessions. Perhaps next year! This article takes away the ‘unknown’ of TBEX, it’s a good read! We won’t make Bangkok or Florida but will out for 2016 dates. Maybe see you there! PS Florida will be immense, we go in January! Hi Gemma, the Stockholm edition should be a great one! Gotta get to TBEX FLL …and on a boat mo faC<<R!! Hi Sue, The one in Lloret de Mar was our first one and for sure not the last! Thinking of heading to my first TBEX, thanks for the great tips! Hi Brianna, 3 Chances to get a TBEX still this year! Great tips. I agree that arriving early and leaving late is a great way to maximize your time there. Hi Christy, sure it is! Great tips for TBEX! 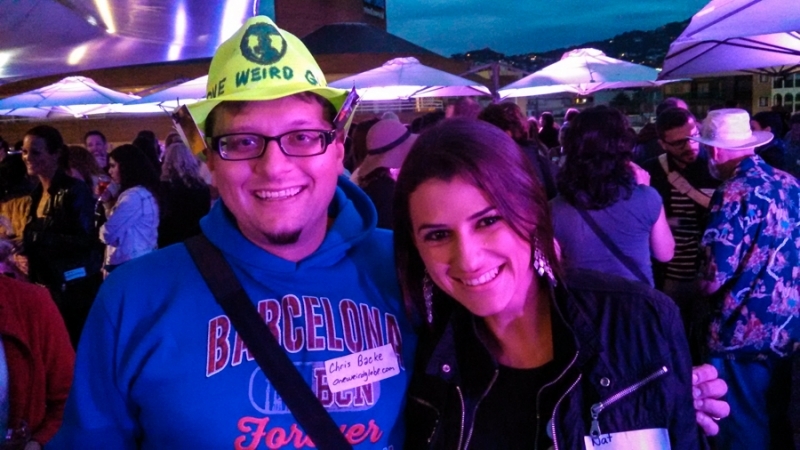 We attended our first TBEX last October in Athens, such a blast! We’re planning to go to the event in Fort Laurderale too. Fort Lauderdale is actually our hometown, feel free to reach out with any questions. Look forward to meeting you there. Thanks for the invaluable tips, Natalie! Fort Lauderdale will be my first TBEX, and I am super excited. I live in Central Florida, so it will be a loop road trip for me. Hope to meet up with you and Rob and all the other commenting bloggers listed here! Hello Howard, be ready to have a great time! Hopefully I can get to Florida for the next one! 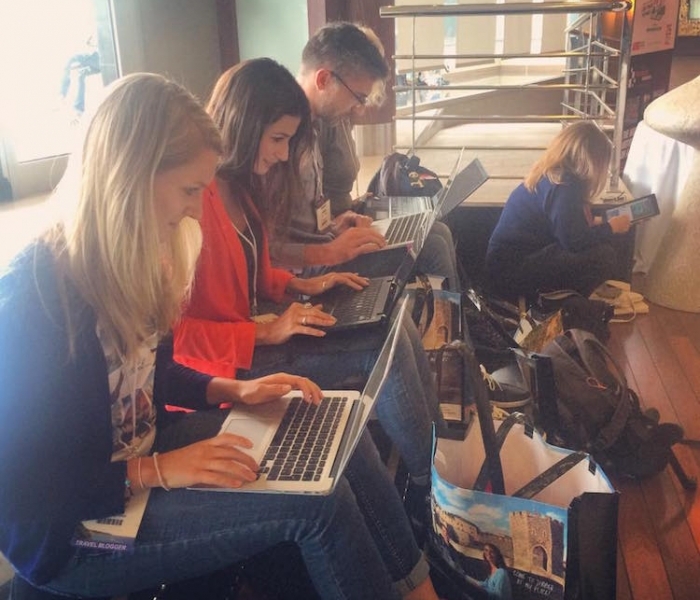 Such a great snapshot of the conference and help for fellow bloggers! Wow I didn’t even know those events existed! Looks like fun 😀 Great tips! And they are awesome Julia! All excellent points, and I wish I’d read this before my first TBEX, last year in Athens! I was in Lloret too, and I’ll be in Stockholm next year (I live in Holland, so it’s easier for me to get to the European ones.) Don’t you find it exhausting, though? At other sorts of conferences, you can relax a bit between sessions. At TBEX, Every. Single. Person. you meet is a potentially important contact! Absolutely! At the end of the day we were always really tired! It`s like an avalanche of information! I think I have a long way to go before I’m ready for TBEX but these are great tips! If you have the opportunity just go! I’m new to travel blogging so events like this are only just coming up on my radar but it’s fantastic that the whole online travel blogging community can get together at massive events like this and network properly as opposed to just online. Maybe I’ll go next year. Keep up the great work :-). I attended a similar event last year in Bangkok, the DIAsia. Not as big, but surely a good event too. Do they know the dates for the Stockholm TBEX yet? I’ll be in Sweden next summer, so would be perfect if I could combine things! Seriously looking into TBEX in Copenhagen which will be my first and maybe my last since they often coincide with the school year and I’ll back to full time teaching this time next year! You said there was free lodgings? I’m assuming this isn’t for everyone? Did you book accommodation? Copenhagen is mighty expensive which a bit of a fear as July will be the very end of the 18 month career break! Having attended conferences in other industries, it’s worth mentioning that TBEX is a really good value considering the low registration fee, especially for early bird registrants. I’ll also mention that Fort Lauderdale itself has a decent sized airport, often with “reasonable” ticket prices from other airports in the United States. To sign up for speed dating slots with brands and DMOs (Destination Marketing Organizations) you need to request appointments through Blogger Bridge on the conference website. The speed networking for TBEX Fort Lauderdale is already open, for Asia edition it will open in a few weeks, later of September, if I´m not wrong. As you said, TBEX is a really good value for money, specially for those how are starting in the blogging industry and don´t want (or can´t) spend too much money! Oh god! now im nervous, I only just stared my blog, i have like no followers yet, should i just prepare business cards? I can talk all day about my project and adventures meeting hill tribes and researching costume and textiles, but how will this work when they ask for my stats? Please i need more advice as I am a complete newbe. Focus on your strength. You have a great and unique niche. But dont forget your business cards! Travel bloggers will get together to share experiences. Great opportunity! I am preparing for my first TBEX, in Ft. Lauderdale, and appreciate the information you provide. Now I must go do those items! 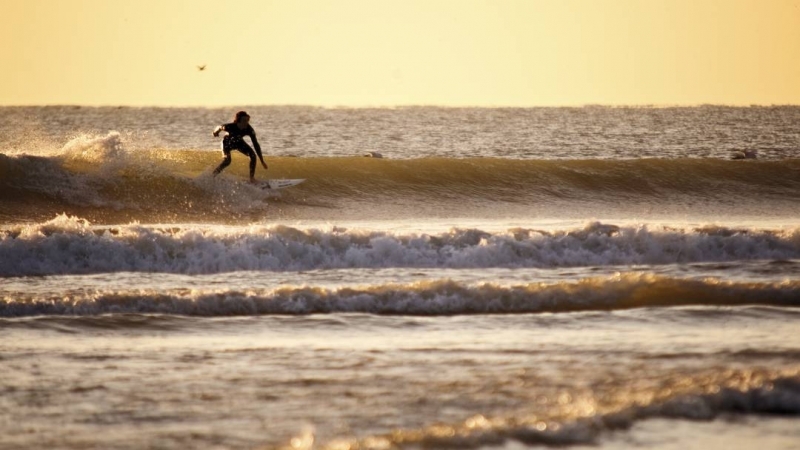 This is getting be excited for Florida! I’ll be there too, let’s meetup! I’m going to my first one in May! I’m excited but nervous! Any tips on what to say in Speed networking appointment? And how many do you suggest making? I’m torn between having a few empty slots so I don’t have to race around like a wild woman and packing that puppy full!